Keep your Amazon details safe with two-step verification. We received a message today on our Cult of Mac Facebook page asking about calls showing up on an iPad when the call originated on an iPhone. There are a couple of different places to turn this feature off so you’re not juggling all your iPads and MacBooks when you make or receive phone calls. 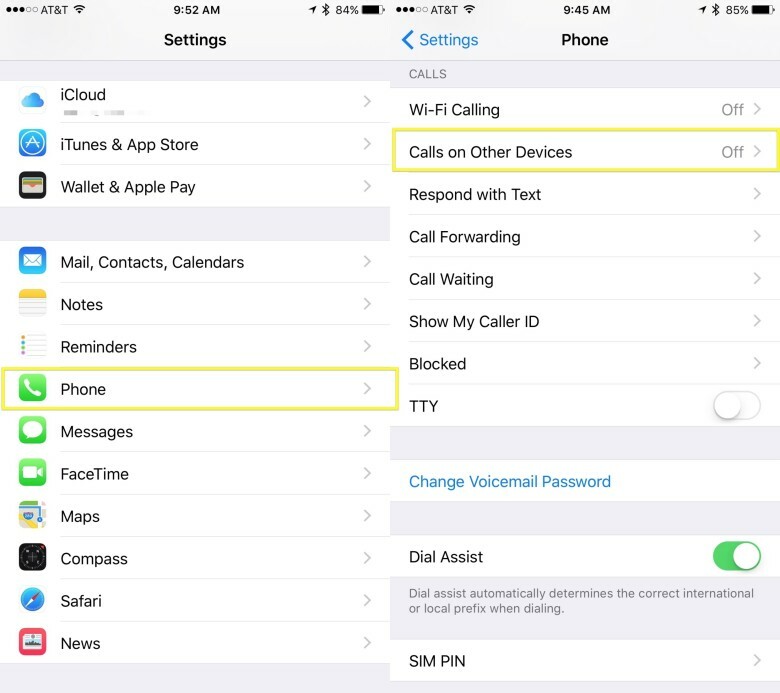 On your iPhone, you can use the cellular connection to make and receive calls on devices signed into your iCloud account when they’re nearby and on Wi-Fi. 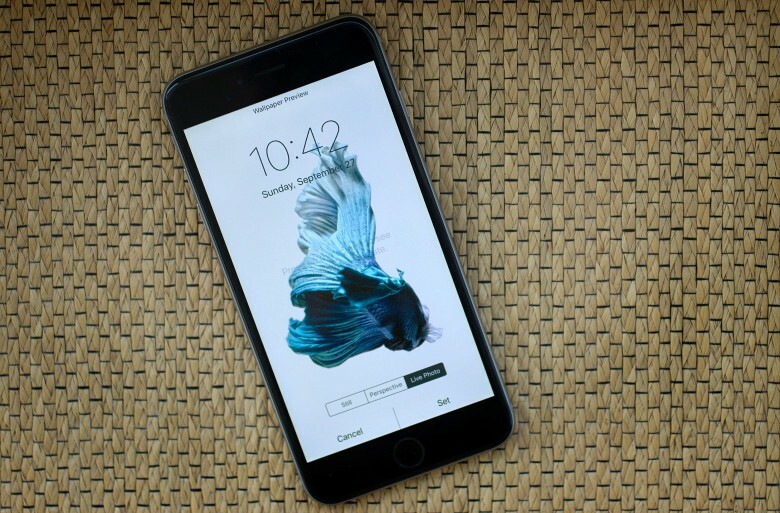 Find your Phone settings here. To turn this off, launch your Settings app with a tap, then tap on the Phone button, just under Mail, Contacts, Calendars, Notes and Reminders. Once there, tap on Calls on Other Devices. You’ll have a choice here — toggle your nearby devices OFF one by one, or turn OFF the entire feature. Either way, once OFF, you won’t get any annoying calls on your iPad, nor will phone calls start on your iPad when you’re calling on your iPhone, like our commenter above did. The other place to turn this feature off is in the FaceTime preferences on your Mac or iPad. You can read an in-depth tip on how to do this, or simply go to Settings > FaceTime > iPhone Cellular Calls and toggle it to OFF. 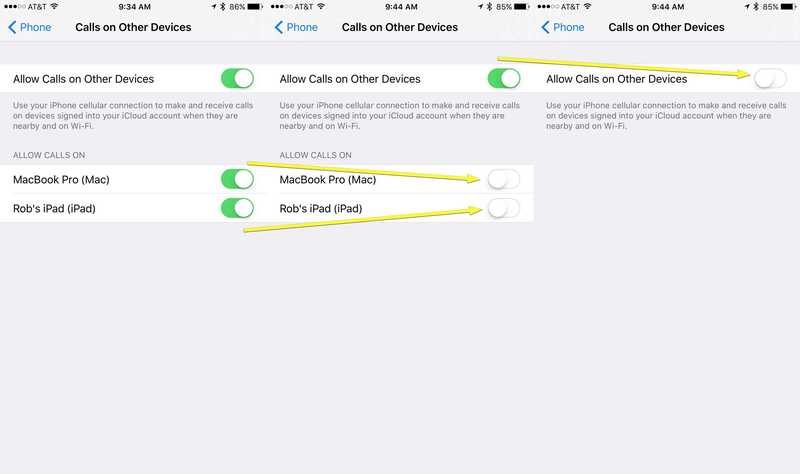 Do the same on your Mac, only launch the FaceTime app, go to preferences, and uncheck iPhone Cellular Calls.